Stop by all week (well, starting March 25th - for an entire week) and enter each day to win a copy of these books!! Hachette Book Group is allowing me to host a giveaway of each book in the series, PLUS one full set to a grand prize winner!! Each book will have one winner, and a grand prize winner will win the ENTIRE set - yes - all 6 books!! Entries for this giveaway are a little different. Comment on the review of the book you would like to enter - you CAN leave a comment on all six reviews to earn an entry for each of the books. Please make sure I have a way to contact you in the event that you win!! The GRAND PRIZE winner will be drawn from among the entries on all six reviews!! Click below to enter - The reviews are scheduled to post at 1:00 AM PST, so if the link is not active, go to my main blog page and click the review to enter. Maybe it was just that the actual world of adulthood, with its long meetings and requirements that you sit still, was too disappointing for most boys to face head-on. Or maybe it was that boys were in need of a belief that something more intoxicating than this world lay ahead, as though to buffer them against reality after they stopped believing in the existence of Santa Claus. You could lose Santa Claus and the Easter Bunny and the Tooth Fairy all at once in a terrible massacre with severed limbs and fur and blood and veined wings and fluffy material everywhere yet still hold on to Frodo and the rest of Middle-earth at least until high school. For a group of four New York friends the past decade has been defined largely by marriage and motherhood, but it wasn’t always that way. Growing up, they had been told that their generation would be different. And for a while this was true. They went to good colleges, and began high-powered careers. But after marriage and babies, for a variety of reasons, they decided to stay home, temporarily, to raise their children. Now, ten years later, they are still at home, unsure how they came to inhabit lives so different from the ones they expected—until a new series of events begins to change the landscape of their lives yet again, in ways they couldn’t have predicted. Written in Meg Wolitzer’s inimitable, glittering style, The Ten-Year Nap is wickedly observant, knowing, provocative, surprising, and always entertaining, as it explores the lives of its women with candor, wit, and generosity. Last week we talked about our favorite book(s) - yes, hard - I know :) . This week, I'd like to switch gears - instead of favorites, we are going to look at least-favorites - should be a little easier?? This doesn't have to mean a book that you hated, or one that you didn't finish, although it might be. . . Questions (yes - there are a bunch - answer one or two . . . or all of them! ): What is your least-favorite book(s)? Is your least-favorite book listed in your LT library? If it is listed, do you have anything special in the tags or comments section? How have others rated your least-favorite book? My Answer: This one is easy for me. My least-favorite book is Feather Man by Rhyll McMaster. Now don't jump to conclusions here - it is actually an amazingly written book, but there is too much reality in it for me. We meet the main character as a young girl, and she is soon sexually abused by a neighbor. Her family falls apart, and both parents neglect her. The author is very descriptive and really brings the time and place to life for readers. For me, it was simply not happy enough. This book is listed in my LT library, I added a very short review, and I rated it 2 1/2 stars. I have been warring with myself over this book for almost a year I think. 38 People on LT have this book in their library. Of those, 15 have written reviews, and 16 have rated it. The average rating is 3.66. I guess that means that I brought the average down. In a nutshell: In Kitty Raises Hell, what happened in Vegas DIDN'T stay in Vegas! After surviving a gun convention teaming with were-wolf hunters toting silver bullets, and a near were-wolf sacrifice by the followers of Tiamat, something has followed Kitty and Ben back to Denver and it looks like it is out for revenge - with fire and brimstone! When the thing that followed them back starts attacking members of the pack, Kitty goes to Rick for help, and when a mysterious vampire comes to Denver claiming to be able to get rid of the menace, Rick says NO! Add in a group of paranormal investigators from a national tv show, and you've got an action packed story that promises to take you to new heights in the supernatural realm. Characters: The main characters are back: Kitty, Ben, Cormac, Rick and Odysseus Grant. We also meet Roman, a vampire trying to get his foot into Denver, and Gary, Jules and Tina, the paranormal investigators from the hit tv show Paradox PI. Story-Line: The story is really a continuation of book 5, and is full of surprises. In Kitty Raises Hell, Kitty now has a husband, is one of the pack alphas in Denver, her popularity continues to grow, and she is gaining more friends she can approach for help, and she is going to need it! I'm really glad that Carrie Vaughn decided to build on the relationship between Rick and Kitty - they are there to help each other when it really counts, and I hope that continues in future books! Readability: A fun and easy read. Overall: I loved this book and highly recommend the series to anyone who is a fan of were-wolves, vampires and the supernatural. I also recommend this series to those who want to give this type of genre a try. I had to admit, this was pretty cool. Carrie Vaughn had the nomadic childhood of the typical Air Force brat, with stops in California, Florida, North Dakota, Maryland, and Colorado. She holds a Masters in English Literature and collects hobbies-fencing and sewing are currently high on the list. She lives in Boulder, Colorado. Comment on this review and you will be entered to win a copy of the book - you CAN leave a comment on all six reviews (one posted each day through March 30th) to earn an entry for each of the books. Please make sure I have a way to contact you in the event that you win!! The GRAND PRIZE winner will be drawn from among the entries on all six reviews!! This giveaway is part of a Hachette Book Group (thank you Hachette!! ), and to participate, you must be a resident of the United States or Canada, no PO Boxes. This Week In Books is all about great bloggers and the books they are reading! We are trying to support each other by sharing posts from the previous week. I invite you to take a look at some of these posts. These blogs are all wonderful, and promise some great reading! Stop by Devourer of Books and read the review Jen wrote for The Tory Widow by Christine Blevins - I've got this book at the top of my tbr pile and can't wait to read it. . . I LOVED Christine's first book Midwife of the Blue Ridge. Amy at My Friend Amy's has written a post about a chain of one dollar bookstores in Southern California, adding that she plans to make the post a regular feature. Kathy of Bermudaonion's Weblog has written a review of Zig-Zagging, which is a memoir written by Tom Wilson Jr, the son of the creator of Ziggy! Shelley over at Write for a Reader has written a review Wintergirls by Laurie Halse Anderson. After reading this review, I understand more about the book, and can see why it is getting good reviews. Sounds like the author is tackling a tough subject (eating disorders) in a very readable way. Trish over at Hey Lady! Whatcha Readin'? has a post that she talks about the possibility of an upcoming book blogger retreat in Portland, OR July 18-19th. I'm hoping to go, stop by and read about the details. . . also let me know if you would be interested in meeting near Seattle, WA June 22nd! Marta of Marta's Meanderings is sharing information on the Cheerios Helping Hearts and cholesterol, and she gets to give away two freshwater pearl bracelets! Stop by Beth Fish Reads and check out her review and interview of Zig-Zagging by Tom Wilson. Any fans of Ziggy out there? Be sure and check out this post! Carrie over at Books and Movies has shared some great information about her favorite mystery series, and what she likes about mysteries in general! After reading this post, I think I'm missing out on some great books. Well, that is all for this week - I hope you will stop by and visit a few of these posts! In a nutshell: Book 5 of the Kitty Norville series finds Kitty and Ben the alphas of the Denver pack, and working together with Rick, who is now the Vampire Master of the city. It also finds the pair taking their relationship to the next level - marriage - in Vegas!! What happens in Vegas stays in Vegas - right? Well, Kitty agrees to do the first real KNOB televised show from Vegas prior to her marriage. When she and Ben arrive at their hotel, they find that there is a gun show convention complete with silver bullet-toting hunters of the supernatural! Add to that a strange lycanthrope (were-animal) show where the performers try to dazzle Kitty for unknown reasons of their own. Supernatural trouble tends to gravitate toward Kitty, and Vegas is no exception - both Kitty and Ben run into trouble, and make new friends along the way. Another GREAT book in the series! Characters: The main characters remain the same: Kitty, Ben, Cormac and Rick. This book also sees the introduction of Dom, the vampire Master of Vegas, Balthasar, the lead of the lycanthrope pack, and Odysseus Grant, a talented magician with supernatural ties of his own. Story-Line: The story continues, shedding some light on Vegas as only a pair of were-wolves can. Kitty and Ben are there to get hitched, and everything seems to be working against them! They do manage to tie-the-knot, but not without the help of some new friends. Overall: Another great book by Carrie Vaughn, continuing the story of Kitty and Ben, which brings a new set of challenges, supernatural problems, and even a few new friends. I loved this book and highly recommend the series to anyone who is a fan of were-wolves, vampires and the supernatural. I also recommend this series to those who want to give this type of genre a try. This was embarrassing. I never thought I'd become such a victim of tradition. Yet here I was, looking at the gowns in a bridal magazine. In a nutshell: In Kitty and the Silver Bullet (Book 4 of the series), Carrie Vaughn introduces politics of the supernatural kind into Kitty's life. Personal reasons compel Kitty and Ben to return to Denver, where Carl and Meg are still the alphas of the local pack, and will see their return as a challenge to their authority. Rick, the vampire who has always been seen at the edges of things with Arturo steps up to take over as the Vampire Master of Denver, but he needs the support of Kitty and the Denver pack in order to be successful. He promises to support Kitty and Ben in taking over the pack if they will be there when he makes his move. I simply love that Carrie Vaughn continues to add new (and interesting) twists and layers to her books. This book will keep you entertained!! Extended Review: I absolutely loved the new level that Carrie Vaughn brought this story to. I never saw the vampire politics and The Long Game coming, and I must say it has made the overall story even more intriguing. The interaction between Kitty and Rick is great, and I can't help but think that Rick is going to be in the story for the long-haul, which makes me excited. Characters: The story continues with a focus on Kitty, Cormac and Ben. In this book, Rick becomes another central character, while Carl and Meg ultimately receive a lesser role. Story-Line: This is another well-developed and fast-paced book that is sure to keep the readers interest. I really like how Ms. Vaughn has added the political play involving both Kitty and Rick to the story, adding a larger overall plot to the series. Readability: Fun, easy, entertaining, intriguing - I could go on here! Overall: This is my favorite book so far. Carrie Vaughn has included enough information in each book so that they could stand alone, but I think that reading them in order adds so much to the story as an entirety. I hated the smell of this place: concrete and institutional. Antiseptic. But all the cleaning in the world couldn't cover up the unhappiness, the sourness, the faint smell of urine. The faint smell of urine. I just received this book and I can't wait to read it - so watch for a review - coming soon! In the mean time, see below for an excerpt. 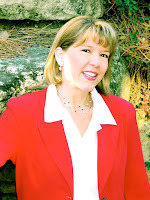 Deborah Raney is the author of several novels, including Nest of Sparrows and the RITA Award-winning Beneath a Southern Sky. Her novel A Vow to Cherish was made into the highly acclaimed Worldwide Pictures film of the same name. She lives with her husband and four children in Kansas. The procession had left the church almost twenty minutes ago, but they were still barely two miles outside Clayburn’s city limits. The line of cars snaked up the hill––if you could call the road’s rolling incline that––and ahead of her, the red glow of brake lights dotted the highway, flickering off and on like so many fireflies. Cresting the rise, Mickey could barely make out the rows of pewter-colored gravestones poking through the mist beyond the wrought-iron gates of the Clayburn Cemetery. She smoothed the skirt of her black crepe dress and tried to focus her thoughts on maneuvering the car, working not to let them stray to the funeral service she’d come from. But when the first hearse turned onto the cemetery’s gravel drive in front of her, she lost it. Her sobs came like dry heaves, producing no tears, and for once, she was glad to be in the car alone. The twin black Lincolns pulled to the side of the gravel lane, parking one behind the other near the plots where two fresh graves scarred the prairie. The drivers emerged from the hearses, walked in unison to the rear of their cars, and opened the curtained back doors. Mickey looked away. She couldn’t view those two caskets again. When it came her turn to drive over the culvert under the high arch of the iron gates, she wanted desperately to keep on driving. To head west and never turn back. But Pete Truesdell stood in her way, directing traffic into the fenced-in graveyard. Mickey almost didn’t recognize Pete. He sported a rumpled navy double-breasted suit instead of his usual coveralls. How he could see through the tears welling in his eyes, Mickey didn’t know. Maybe if she stayed in the car until the procession left the cemetery. She didn’t want to walk across the uneven sod. Didn’t want to risk the DeVore kids seeing her…risk breaking down in front of them. What would she say? What could anybody say to make what had happened be all right? She didn’t know much about carbon monoxide poisoning, but she’d heard that Kaye and Rachel had simply drifted off to sleep, never knowing they would wake up in heaven. She wondered if Doug DeVore found any solace in that knowledge. Maybe it was a small comfort that his wife and daughter had left this earth together. She’d never really gotten to know Kaye DeVore that well. They’d exchanged pleasantries whenever Kaye dropped the kids off at the daycare on her way to her job at the high school, but usually Doug was the one who delivered the children and picked them up at night when he got off work at Trevor Ashlock’s print shop in town. The DeVore kids were usually the last to get picked up, especially during harvest when Doug worked overtime to keep his farm going. But Mickey had never minded staying late. It wasn’t like she had a family of her own waiting for her at home. And she loved those kids. Through the gates, she watched Doug climb from a black towncar. One at a time, he helped his children out behind him. Carrying the baby in one arm, he tried to stretch his free arm around the other four kids, as if he could shelter them from what had happened. How he could even stand up under the weight of such tragedy was more than Mickey could imagine. And yet, for one shameful, irrational moment, she envied his grief, and would have traded places with him if it meant she’d known a love worth grieving over, or been entrusted with a child of her own flesh and blood. She shook away the thoughts, disturbed by how long she’d let herself entertain them. A tall white tombstone in the distance caught her eye and a startling thought nudged her. The last time she’d been here for a funeral had also been the funeral of a mother and child. Trevor Ashlock’s wife, Amy, and their little boy. It would be five years come summer. As if conjured by her thoughts, Trevor’s green pickup pulled in beside her. Mickey watched in her side mirror as he parked, then helped his young wife climb out of the passenger side. Meg walked with the gait of an obviously pregnant woman, and Trevor put a hand at the small of her back, guiding her over the uneven sod toward the funeral tent. Mickey looked away. Seeing Trevor still brought a wave of sadness. Because of his profound loss, yes. But more selfishly, for her own loss. She’d fallen hard for him after Amy’s death—and had entertained hopes that he might feel the same about her. That she might be able to ease his grief. But he was too deep in grief to even notice her. Then Meg Anders had moved to town and almost before Mickey knew what happened, Trevor was married. He and Meg seemed very much in love, and Mickey didn’t begrudge either of them an ounce of that happiness. But it didn’t mean she was immune to a pang of envy whenever she saw them together. This day had to be doubly difficult for Trevor. It must be a comfort to Doug having Trevor here––someone who’d walked in his shoes and still somehow managed to get up the next morning––and the next and the next. Again, she had to wonder what God was thinking. Where was He when these tragedies struck? How could He stand by and let these terrible things happen to good men…the best men she knew, next to her brothers? None of it made sense. And the only One she knew to turn to for answers had stood by and let it all happen. In a nutshell: In Kitty Takes A Holiday (Book 3 of the series), Carrie Vaughn shows readers that there are still more supernatural and magical things to explore in Kitty's world. Kitty is trying to mind her own business, writing her memoir in a quiet cabin in Colorado, when someone decides to try to scare her away from the quiet community. Out of the blue, Cormac shows up with an injured Ben (Kitty's lawyer), asking for Kitty's help. During a job Ben was helping Cormac with, Ben was bitten by a were-wolf, and now Ben must find a way to survive. Throughout these events, Kitty's quiet life is altered, and she finds herself becoming the alpha of a pack, made up of her and Ben. Those who enjoyed the first two books won't be disappointed with this book, but rather will learn about blood curses and skin-walkers. Extended Review: Kitty Norville has taken some time away from hosting The Midnight Hour to write a memoir after being exposed as a were-wolf on national television. Her life is altered as Cormac shows up on her doorstep with an injured Ben in tow. She helps Ben as he heals and comes to terms with his new life, and they must find out who someone is trying to scare Kitty away. Characters: The story continues with a focus on Kitty, Cormac and Ben. Other local characters are added throughout the story. Each character has been written and introduced in a manner that makes them seem so real and believable. Story-Line: This is another well-developed and fast-paced book that is sure to keep the readers interest. I really like how Ms. Vaughn has added new supernatural elements to each story to continually add new layers to the books. Overall: Another great addition to the Kitty Norville series! Fans of the first two books are sure to love this one while continuing to learn more about curses and skin-walkers. If you haven't read any books about were-wolves and vampires, give this series a try. I have been very pleasantly surprised at how much I am enjoying them!! She runs for the joy of it, because she can, her strides stretching to cover a dozen feet every time she leaps. Her mouth is open to taste the air, which is sharp with cold. The month turns, and the swelling moon paints the night sky silver, lighting up patches of snow scattered throughout the woods. Not yet full moon, a rare moment to be set free before her time, but the other half of her being has no reason to lock her away. She is alone, but she is free, and so she runs. Upbeat, Catchy and FUN - Great all-around music!! You may be more familiar with the names Mark Ballas and Derek Hough from Dancing With The Stars, where these guys have proven that they can dance . . . and now they have proven that they can sing as well! This is a fun, upbeat cd that will have you smiling in no time. Pop music with a little more maturity, this album is sure to be a favorite among all-ages. At times this album is reminiscent of some of the more popular boy-bands such as N-Sync, and artists such as Justin Timberlake. This album is great to use as background music at work, or listening in the car on the way home. 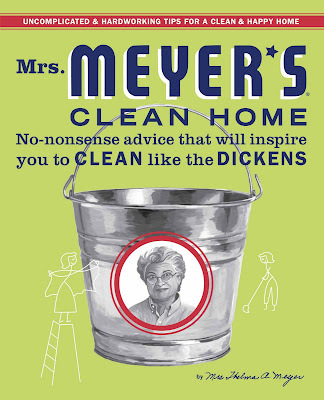 It is equally as nice for home use, while cooking, cleaning, or just hanging out. If you haven't listened to them before, head over to Amazon, where you can listen to clips from each song - you may find a new all-around favorite! Listen to their music sampler here, via Amazon. "We wrote the majority of our album ourselves. It's not like we looked through a catalog and picked out some songs." To that end, the Ballas Hough Band's debut puts a deeply personal spin on pop, with songs like "Fall" and "Devastated," which recount worldly lives that left a trail of broken hearts. "When we first started playing our music for the label, our A&R guy was, like, 'Man, what's wrong with you guys? We need more positivity!' All our songs were negative and hurtful, because Mark and I have been in a lot of relationships that have really hurt us. We were just going off life experience. He was probably thinking we're not old enough to know, but we do. We get music from hurt, so we had a lot to work with." To channel those emotions in the studio, they turned to in demand producer John Fields (Jimmy Eat World, Jonas Bros., Andrew W.K. ), who, not unexpectedly, didn't have high hopes for an album by a couple of dancers. "When we first went in to work with him, you could tell he was pretty skeptical," says Derek, who was a big fan of Fields' work with Switchfoot. "He'd only agreed to do one song, but once we started laying down tracks, he saw that we could write and play and we had this great chemistry. We ended up doing nine songs with him." Adds Mark: "Once he jumped on board, it was like a freight train. He has amazing vision and we were on the same wavelength 100 percent of the time. Everything turned out exactly like I hoped it would." On the Maroon 5-flavored "Devastated" and "She Was The One," Ballas Hough Band worked with Eric Valentine, who produced the latest album by All American Rejects. "Where John is, like, boom, boom, boom, Eric is more about cool and controlled mayhem," says Derek. "He doesn't wear shoes, he's very soft-spoken, and he looks at music as a science." Of the songs that aren't BHB originals, the first single, "Do It For You," was co-written by new American Idol judge Kara Dioguardi and makes for the perfect introduction to the band's pop sensibilities. "It's really catchy, like one of those songs you walk away singing that gets stuck in your head," says Mark, "It's rhythmic, hooky and huge." But he's perhaps most proud of the song "Longing For," the final song he wrote for the album. It features Mark's intricate guitar-work, Emily's wistful harmonies, tug-at-your-heartstrings melodies and lyrics that read like the love letter ever girl pines for: I remember the first time that you and I met / And the look in your eye was something I could never forget / When you're with me baby you never need to pretend / Tell me what do you need / I want to be the reason you breathe. "We've been working extremely hard, putting in 14-hour days, playing two shows a night," Derek confesses. "But we do it because it's what we love. And hopefully, this album will speak to an audience who will look at us as singers, writers, and players. We want to be known for our music." In a nutshell: In Kitty Goes to Washington, Carrie Vaughn has continued adding dimensions to Kitty's life as new characters and places are introduced to the series (there are currently six books available). Book two finds Kitty wandering the United States as she broadcasts her show from different radio stations each week as a result of leaving Carl's pack. She is also called to a hearing in the Senate that is looking into recent research regarding supernatural beings. Her life is abruptly changed as she goes from behind the mike to being in front of cameras. She becomes a recognizable figure, which brings with it supporters as well as those who don't like her. While staying in Washington D.C., she is invited to stay with the area's vampire mistress, and she meets a group of lycanthropes (were-animals) without a pack or pack alpha. With a little help, Kitty also finds out the truth about Elijah Smith and his followers. Extended Review: Kitty Norville continues to host The Midnight Hour remotely, even going as far as televising a show from a silver-lined cell while she is held against her will during a full moon. Without a pack of her own, Kitty must carefully choose her friends and allies as she explores Washington D.C. and waits to testify in front of the Senate. Characters: Old favorites return in the form of Kitty, Cormac and Ben. We are also introduced to Alette, the vampire mistress of the city and her companion Leo, as well as Luis, a were-jaguar. At the forefront of the Senate hearings is Senator Duke and Dr. Flemming. Story-Line: This is another well-developed and fast-paced book that is sure to keep the readers interest. Overall: A great sequel to Kitty and The Midnight Hour! Fans of the first book are sure to love this one while continuing to learn more about were-animals and vampires. Celebrity werewolf and late-night radio host Kitty Norville prefers to be heard and not seen. So when she's invited to testify at a Senate hearing on behalf of supernaturals, and her face gets plastered on national TV, she inherits a new set of friends, and enemies, including the vampire mistress of the city; an über-hot Brazilian were-jaguar; and a Bible-thumping senator who wants to expose Kitty as a monster. Kitty quickly learns that in this city of dirty politicians and backstabbing pundits, everyone's itching for a fight. We have Beth from Tampa on the line. Hello. 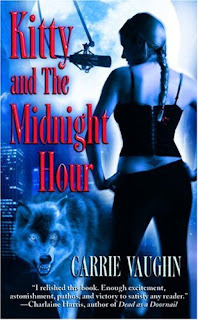 In a nutshell: In Kitty in the Midnight Hour, Carrie Vaughn has cleverly created a wonderfully entertaining start to a very promising new supernatural series (there are currently six books available). In this book, the author weaves a tale of fantasy and adventure as she lays the groundwork for characters and new realities that includes vampires, werewolves, bounty hunters, etc. Carrie Vaughn has created werewolf packs and vampire families in a way that makes the dynamics seem very believable. I've never given a lot of thought to how different members of a pack would treat each other, and exactly how much power the alpha dog/wolf in a pack would have, but these issues and more are explored throughout the book. I picked this book on a whim, wanting to read something new and was very surprised at how much I love the series! I've been reading the books for a few days now and I'm already on book three. If you are looking for something new, and haven't read books like this before, give this one a try - but beware - before you know it, you'll have all six books on your shelves! Extended Review: Kitty Norville is a night DJ for a local radio station in Denver. One evening, she decides to talk with callers on the air instead of playing the same old songs that are always requested. The next morning, she expects to get fired, and instead, the station manager asks if she can do the show again - and that is how her show "The Midnight Hour" gets its beginnings. Because of her show, she unintentionally brings the reality of vampires and werewolves to the general population's attention, especially as her show catches on in more markets. While her status as a radio show host grows, so does her confidence in her pack, which starts to change her position in the pack, creating challenging situations for all involved. . . and don't even get me started on the tension between Cormac and Kitty! Cormac is hired to kill Kitty, and ultimately ends up being one of the few people Kitty trusts enough to call when she needs help. Could this develop into something more? I sure hope so - I've got a soft spot in my heart for this supernatural predator hunter! Characters: Kitty is a radio dj who is hiding a secret life as a werewolf. Cormac is a werewolf hunter who happens to get hired to kill Kitty. TJ is Kitty's best friend/werewolf support. Carl and Meg are the alphas in the pack that Kitty belongs to. I think the character development in this book has been amazing. As a reader, I was drawn into the dynamics of many of the characters and can't wait to see what they do next. Story-Line: The story is well-developed with plenty to keep the reader entertained. Overall: A fun and fast-paced read that is sure to keep you entertained and coming back for more! I can't wait to see what happens next with Kitty! Kitty Norville is a midnight-shift DJ for a Denver radio station—and a werewolf in the closet. Sick of lame song requests, she accidentally starts "The Midnight Hour," a late-night advice show for the supernaturally disadvantaged. I tossed my backpack in the corner of the studio and high-fived Rodney on his way out. Last week we explored the memes on Library Thing. I also asked for some suggestions, and one of you suggested that we get a little more personal by looking at favorite books, etc. So . . . I'd like to look at favorites. My Answer: I probably have a handful of "favorite" books. One of the favorites that has been a "favorite" the longest is Pride and Prejudice by Jane Austen. I find that I can read this book over and over again. My Mom and I read this book together, and both enjoyed it, and I think that is one of the reasons why I like it so much. Sadly, I have not added this favorite to my library on Library Thing. I use LT to track the books I've read and reviewed on my blog since I started in August of 2008, and as I haven't read it since then, it isn't in my library yet! Hmmm - might need to correct that! As its not listed in my library, I haven't added any tags or comments, and I haven't figured out a good system for tags yet. Most of the Common Knowledge has already been filled in, and as the book is so widely read, and has been around for so long, I have a feeling that I probably won't be able to find anything to add, but I will look more closely later. As far as the 5-star ratings in my library, I sorted my library by the star ratings and was surprised at a few of them, as they don't really compare to my true "favorites", so I think I need to go back and re-star the books in my library. Over 6,000 people have rated Pride and Prejudice, and overall, it has 4.52 stars. Over 4,000 people have given it 5 stars!! :) I guess I'm not the only person who really enjoys this book. I would like to extend a huge thank you to the people at Hachette Book Group, who allowed me to host this great giveaway!! Another huge thank you goes out to everyone who participated in this giveaway by leaving their suggestions on the post as well as visiting my review. There were so many great cleaning and organizing tips - I'll try to compile them all into one post in some type of order, but it may take a while! Congratulations - and come back soon for more giveaways!! Each of the winners has been sent an email and/or received a message on their blog. Edition: Hardback - Many thanks to the author for sending me a signed copy so I could participate in this WildCard Tour. In a nutshell: This is a wonderful book for children of all ages. Patti Ogden has done a beautiful job of explaining how we see God in everything around us. It is sometimes hard to take things blindly by faith, and here, she gives us a story that shows us that God is in the people we know, in the stars and the moon, and in the things around us. Join Keoni on his fishing trip with the kind man next door, who helps him learn the answer to his question, "Can anyone see God?" 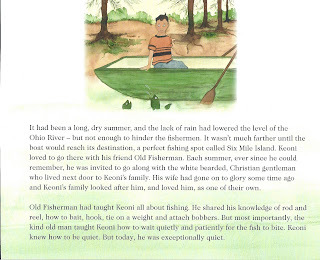 Characters: Both Keoni and the Old Fisherman from next door are very sweet and lovable. 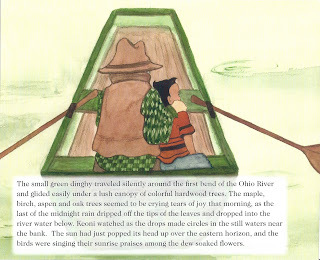 Illustrations: The illustrations are wonderful, showing beautiful details from nature, and lending wonderful characteristics to the characters in the story. My son especially loved the pages with animals on them (ducks, fish). He also loves the Old Fisherman with the beard. Story-Line: The story follows Keoni as he searches for an answer to his question, "Can anyone see God?" Readability: Easy to read. There were one or two pages that didn't have spaces between the paragraphs, but that was the only thing that distracted me while reading my son the story. Overall: A beautifully written and illustrated book that will help children understand that even though we don't see God directly, he is all around us in the things we see and the people we meet. As an enthusiastic Sunday school teacher, Patti Ogden found herself with a sincere burden to help kids seek their own spiritual growth. 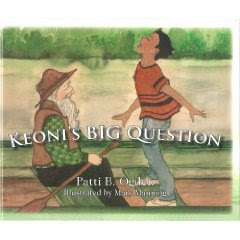 She is the author of Keoni's Big Question and two more Christian children's books planned for 2009. Patti lives in Oregon, Illinois with her husband Jeff, of 35 years. She is a mother of two and grandmother to five darlings that fill her life with joy. PLEASE CLICK ON THE IMAGES TO READ AND SEE THEM BETTER. "And so the lion fell in love with the lamb. . . . " he murmured. I looked away, hiding my eyes as I thrilled to the word. "Softly he brushed my cheek, then held my face between his marble hands. ''Be very still,'' he whispered, as if I wasn''t already frozen. Slowly, never moving his eyes from mine, he leaned toward me. Then abruptly, but very gently, he rested his cold cheek against the hollow at the base of my throat. On Friday, I posted my review of Everyone Is Beautiful by Katherine Center. I absolutely loved this book, and was thrilled that I also get to share a guest post with the author with you! Katherine Center’s second novel, Everyone Is Beautiful, is featured in the March issue of Redbook. Kirkus Reviews likens it to the 1950s motherhood classic Please Don’t Eat the Daisies, and says, “Center’s breezy style invites the reader to commiserate, laughing all the way.” Booklist calls it “a superbly written novel filled with unique and resonant characters.” Katherine’s first novel, The Bright Side of Disaster, was featured in People Magazine, USA Today, Vanity Fair, the Houston Chronicle, and the Dallas Morning News, among others. BookPage named Katherine one of seven new writers to watch, and the paperback of Bright Side was a Breakout Title at Target. Katherine recently published an essay in Real Simple Family and has another forthcoming in Because I Love Her: 34 Women Writers on the Mother-Daughter Bond this April. She has just turned in her third novel, Get Lucky, and is starting on a fourth. She lives in Houston, Texas, with her husband and two young children. 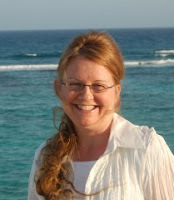 You can visit her website at http://www.katherinecenter.com/. Comedy and tragedy are not the same thing. Of course not. We all know that. Comedy is funny and tragedy is—um—not. They’re opposites. One is happy and the other is sad. One is hopeful and the other is hopeless. The sisters talk a little more, and then one concludes that hate, because it’s a strong emotion, is good. Some people don’t think comedy and tragedy can be mixed up together in the same novel. It’s like a story must either be serious or lighthearted. But my favorite stories are often both at the same time. I love novels that can make you laugh and make you cry. I love stories that examine that intense connection between opposites—funny and sad, light and dark. Real life is that way. It’s jam-packed with opposites. Humor makes heartbreak bearable, and heartbreak gives meaning to humor. They are not the same, but they exist together. They need each other. They help us make sense of the world. My husband is the funniest person I know. He has many gifts, but one of them is that he can find humor in almost any situation. And in the years since we’ve been parents, there have been plenty of occasions to use that gift. Once you have babies, your heart is so naked. You love them so desperately, and they are so tiny and so hard to understand. So much is out of your control. When my son was a baby, our doctor thought he might be very sick. He turned out to be fine, but for months and months we didn’t know. We just had to watch him and hope for the best. And I was almost overcome with worry then. I just walked around all day with my entire body squeezed into a fist. Many things about that time in our lives amaze me, looking back. The fact that I even made it through the day, for one. But also: The amount of joking we did. The way we sought out ways to laugh about our sorrows. The way that laughter kept us all afloat. It was impossible that we were laughing. But we did it. And that’s how we carried on from one moment to the next.